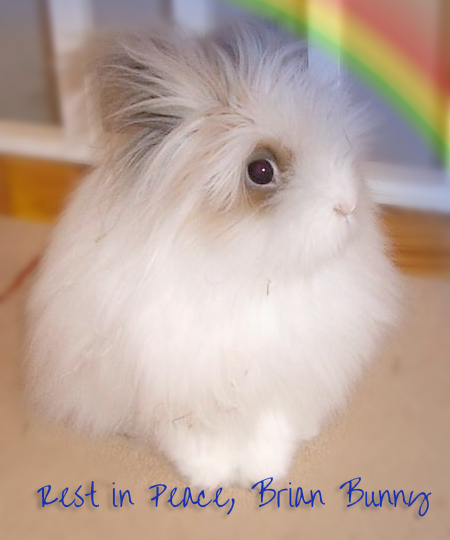 Today, I was heartbroken to hear about the passing of my anipal, Brian Bunny. My dear friend, Brian, crossed over the Rainbow Bridge earlier today, where I know he is happy. The roads are probably overflowing with ginger biscuits and bananas, and other delicious bunny treats. But he has left his mom, many anipals and his 756 Twitter followers in mourning and complete devastation. 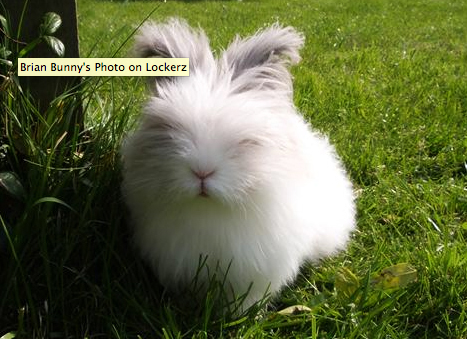 He was a gorgeous and super fluffy lionhead bunny, nearly 10 years old. He lost his brave and valiant battle after suffering from pneumonia. He went into cardiac arrest as he was given his medication during a vet surgery. His mom said that he did not suffer. Brian was one of the first Twitter followers, and he was also a great supporter of mine. He was the cutest, most fluffy bunny I have ever seen, and I am crying a river of doggie tears as I try to paw at the keys to write this post. 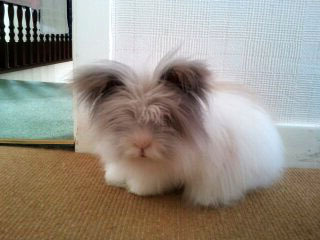 Mama and I are just devastated at the loss of our best bunny friend. 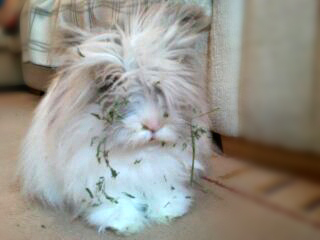 To celebrate his life and for you to meet him, I want to show you some photos of my very fluffy and gorgeous bunny friend. I am going to miss you, my fluffy friend. Mama and I are praying for your Mummy and for her heart to be healed. 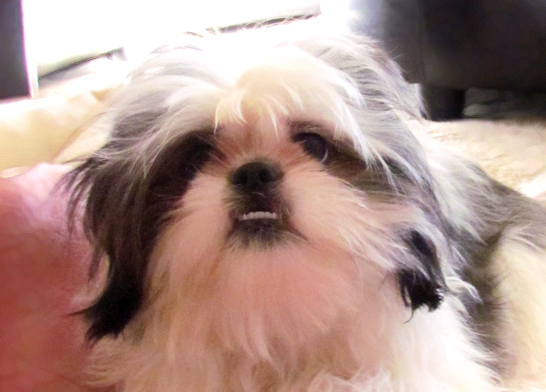 Gracie Lu loves you! Aww…I am so sorry about the loss of your friend. He looked very nice and also very cute. He is happy with lots of other friends now but peeps down here will miss him. We are very sorry to hear about your bunny friend. Thank you for stopping by! We will follow you…hope you will follow us too!